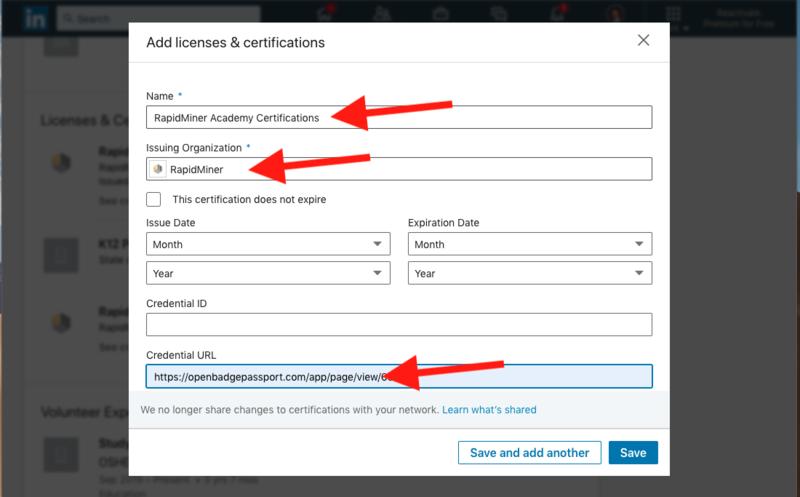 You should have received an email from Jeff Mergler at the RapidMiner Academy. 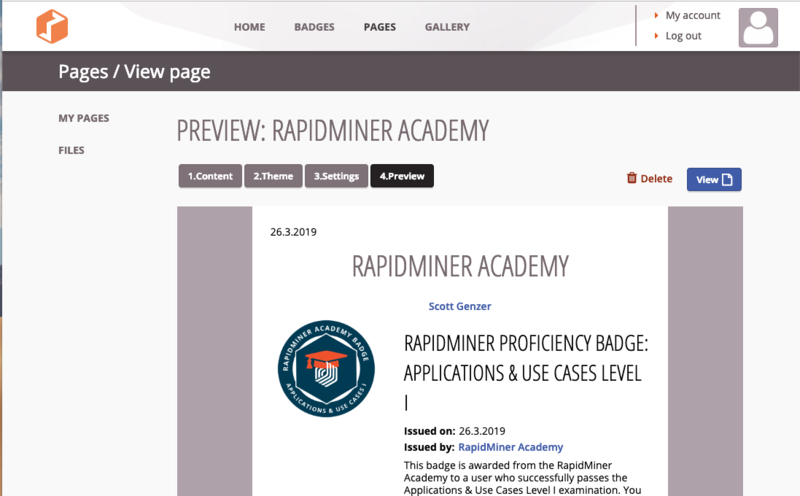 Click the link shown to download your RapidMiner Open Badge SVG file. 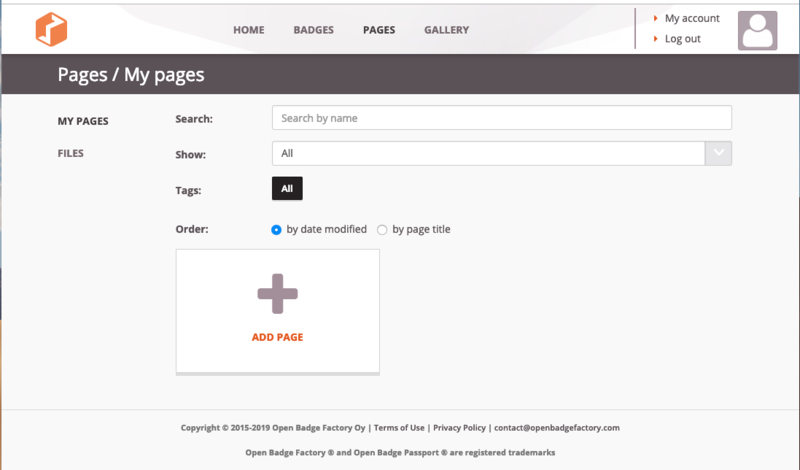 Open a free account with an Open Badge repository such as openbadgepassport.com, verify your email address, and login. 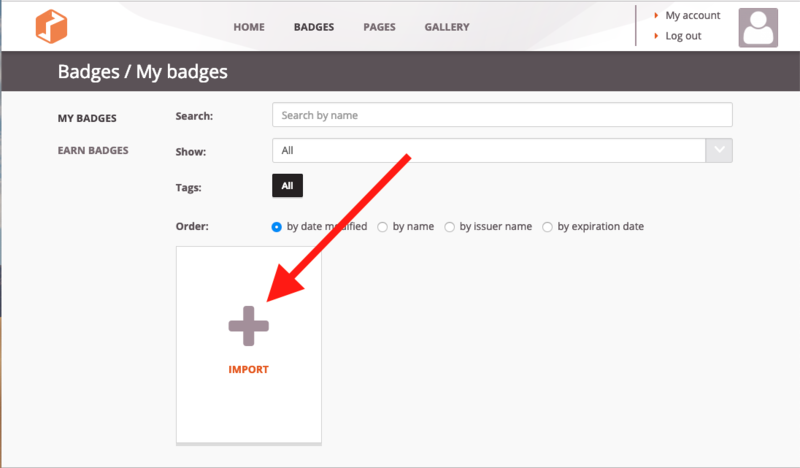 Go to "BADGES" at the top of the screen and click the large "+ IMPORT" page. 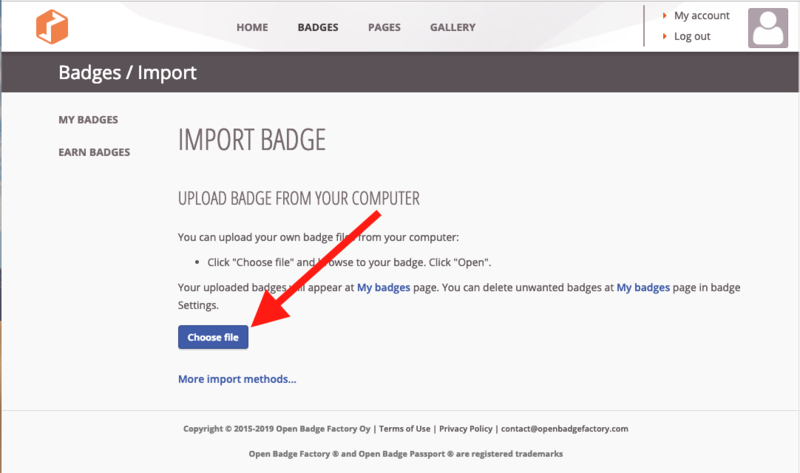 Then upload your Open Badge SVG file. 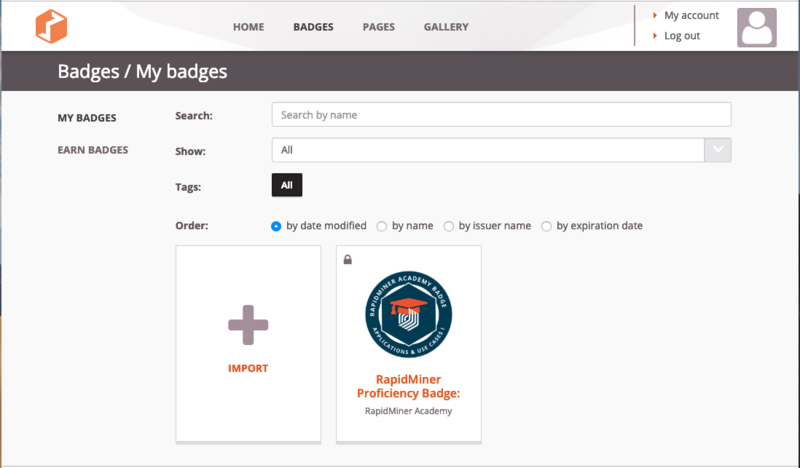 Now you can create a publicly-viewable page that will show your badge. Go to "PAGES" at the top of the screen and click the large "+ PAGE" page. 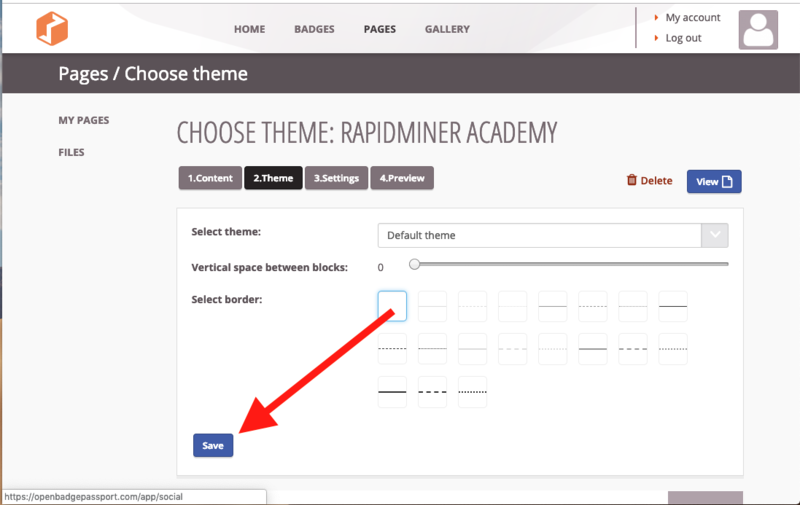 You will be asked to choose a Theme. Just click Save and continue. 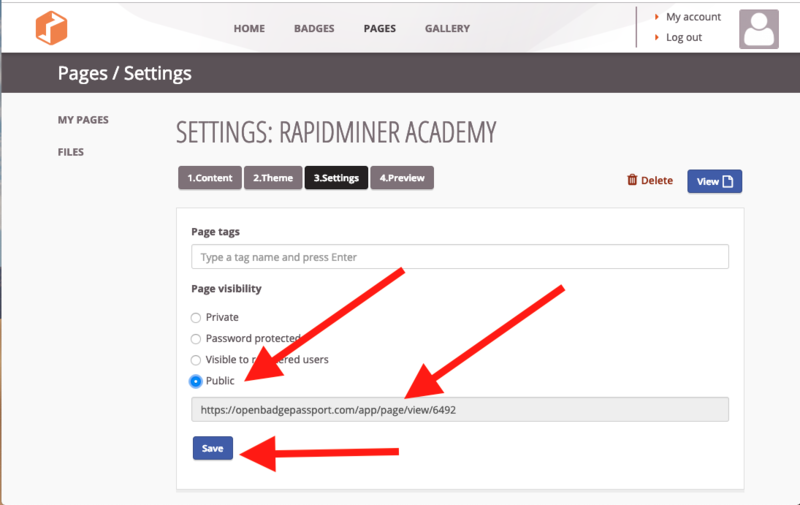 As for settings, make your visibility "Public" AND **COPY THIS URL ONTO YOUR CLIPBOARD AS YOU WILL NEED IT LATER**. Then click Save. Woo hoo! 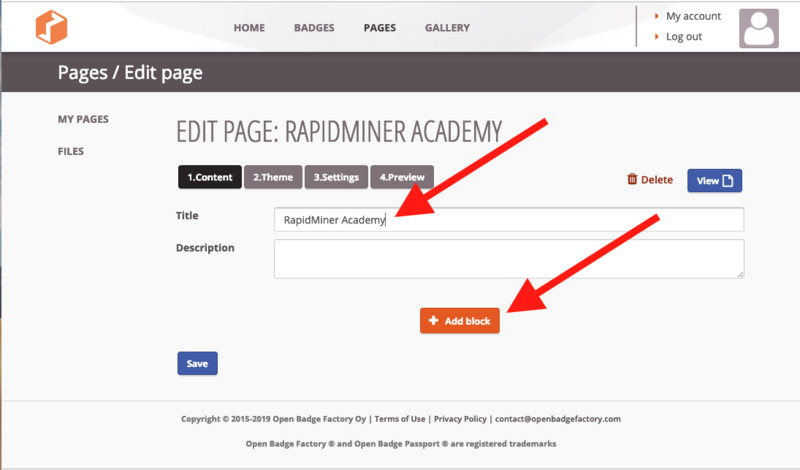 You should now have a RapidMiner Open Badges page to share! Now comes the fun part! 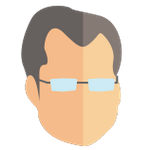 Take that URL and share it anywhere you want! 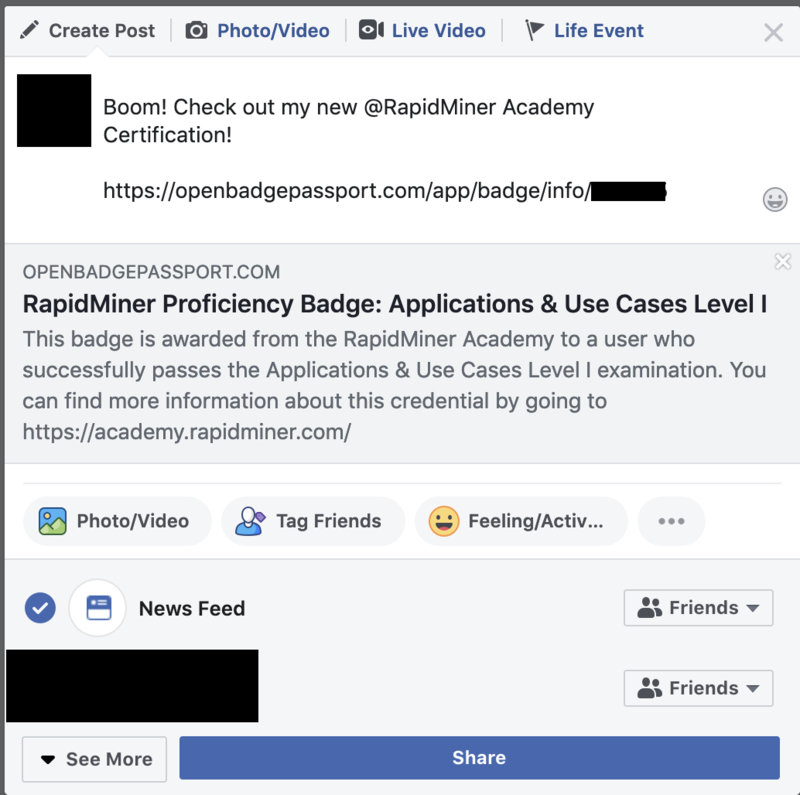 Enter your information AND THAT URL YOU COPIED TO YOUR CLIPBOARD and just click Save. That's it! Pretty easy - just paste that URL right into a new post. Make it public so the whole world can see!